Bikes are a great way to get from point A to point B. They’re eco-friendly and they’re a great workout, but they can be so difficult to store! 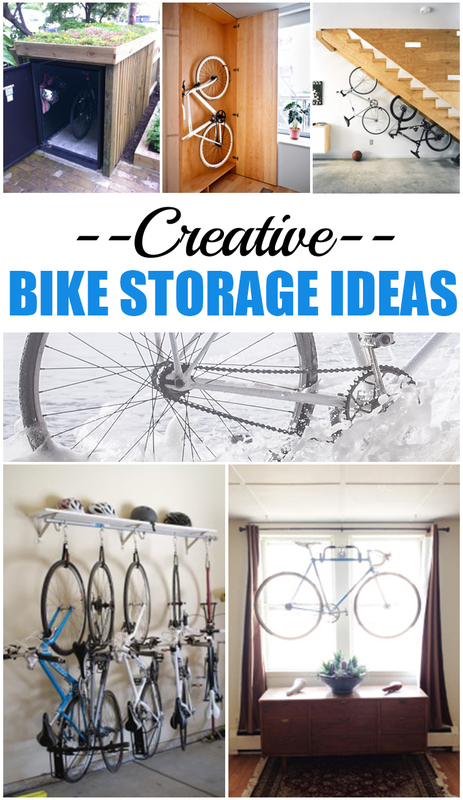 I’ve been trying to figure out the best way to keep bikes in their place, and I’ve come across some really great ideas. I’ve compiled a few of my favorites–some to make & some to buy!